During the London Design Festival 2012 I was asked to take part in an auction being held at the Designjunction venue called ‘The Joy of Living’ in support of Maggie’s Cancer Caring Centres. This was the second such auction organized by Max Fraser to raise money for this important cause. A roster of leading designers were asked to customize a piece of domestic design which would then be auctioned. My chosen object to customize was a sleek 1960’s electric bar heater which was an old wedding gift to my parents. This coveted item which I inherited just before going to art school had been a warm friend for many years, keeping me comfortable in many cold studios. Eventually after many years of loyal service the heating elements stopped working and I was left with an impractical heater but I couldn’t throw it away because of it’s emotional history and its beauty. I decided to give the heater a second life with a neon transplant which would still keep it’s owner visually warm. Size – H50cm x W46cm x D18cm. 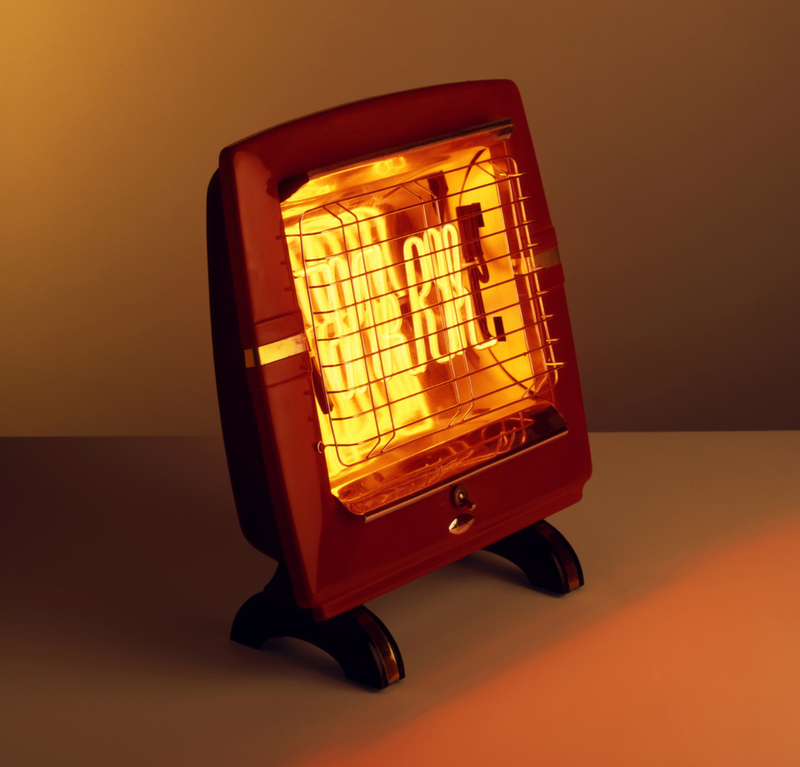 Materials – Vintage electric bar heater, Neon light.